Discussion in 'Games, Gaming & Game-demos' started by scatman839, Jun 11, 2017. There's nothing to be fixed here. Watch that video above. 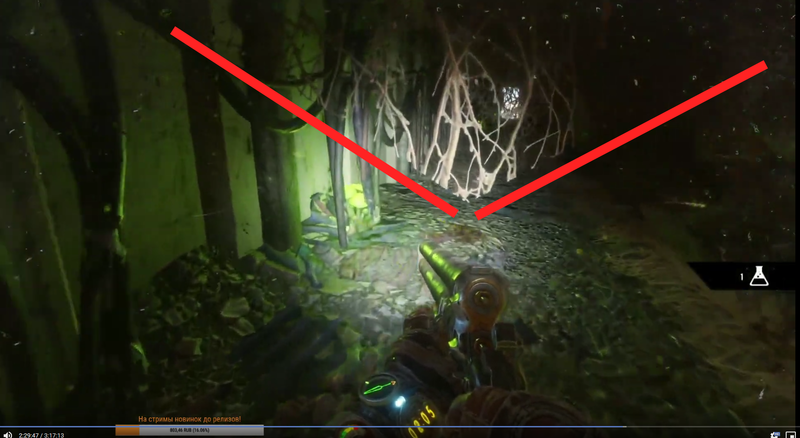 Like i said , its not just about the textures. see the twigs and how they got cut off ? I saw that a couple of times in that video with not just twigs. no compression will do that. There's nothing wrong with the textures. And that's mesh cut off or bad uv. I doubt your are gonna see that so often. I remember seeing that on my play-through and was confused why it was doing that..... good to know it was not just me. Looks like console footage due to the absence of tessellation/displacement mapping on the ground. No preload for the Steam version it seems, kinda silly what with the big number of pre-orders on the platform from what I know. Oh well funny business decisions all over. cerebus23 and lucidus like this. I don't understand how the fortnight launcher has anything to do with the question of Steam having a pre-load available. My guess is that they simply don't want to bother, seemingly thinking that everybody will get it on Epic. Idk if this is arogance, spite, incompetence, some part of the deal with Epic, or all of the above. Sorta want to see the game do poorly now, since I can't stand arrogance, but this could be just me overreaching. They obviously saw the sales figures on Steam the day they announced they were pulling it from sale on Steam, it was literally the best selling game on Steam for that day because of the announcement. It's going to be interesting to see how this plays out over the next year. I'm interested myself. I have no idea what the publisher is thinking. This may well be a part of the exclusivity deal (I wouldn't be surprised if it went to details like these), a weird retaliation to the backlash (which would be petty, but again it wouldn't really be a surprise for me), or just basic laziness (maybe they never planned a pre-load at all). This is petty on my part, but I really sorta want to see the game under-perform at this point. I mean, Deep Silver is safe anyhow (since the deal with Epic binds Epic to even out lost money for DS), but I want Epic to be a little bitten on it's lofty a$$. What next? 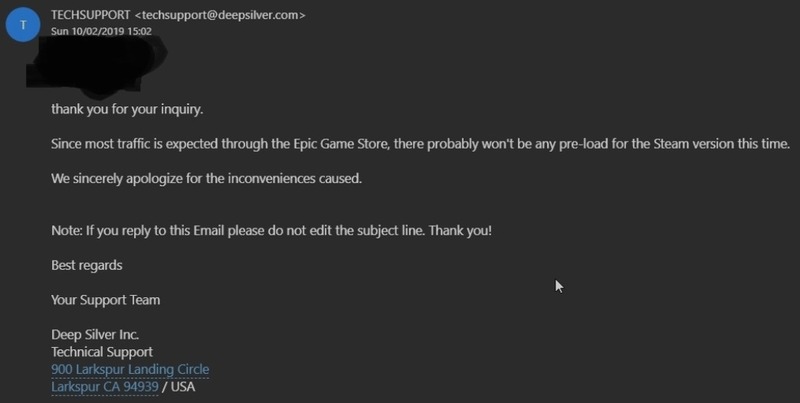 Delaying DLC releases on steam at the last minute because Epic paid them even more? lol. I just did a google search and most of the news results seem to be negative thanks to the Epic non-sense. There's just the trailer that someone posted a few days ago. I use duckduckgo instead so I know results aren't being personalized. If this gets turned into a story by youtubers, it's just more negativity. Oh and if anyone wants to lol @ epic, this is the first row of Twitch right now. For months they've been #1 no matter what time I check the site. This is not true, I visit twitch a lot , and these games (besides apex) have always been there , and no metro. why would metro be the #1 game watched anyways ?? makes no sense. What? I wasn't even talking about Metro and twitch. If you ment the epic channel that wasnt #1 either. Oh I stand corrected, sorry! that is very true! It doesnt have anything to do with exodus though , just a new game with prize money attached. streamers always gotta keep playing the latest games. Kolt, cerebus23 and WhiteLightning like this. Apex Legends is number 1 currently because some of the big streamers are sponsored to play Apex. Some 50k-100k viewer streamers are playing Apex, that's why. Also, everyone who plays Fortnite is giving Apex a go atm. Also, Fortnite has been second and even third at times, with big game releases. All it takes is a couple of big streamers to jump on a new big release and Fortnite gets knocked off it's top spot. This happens with all the "fad" games, tbh. Once the battle royal craze goes away (which it will), something else will entirely replace it. As for Apex, I've heard that EA funnels a lot of money towards "influencers", but can be quite strict about how you're supposed to "cover" their games. 100%. I mean EA probably wouldn't even have to pay these streamers. People like Shroud and Summit pull big crowds and they play shooters so it's fair to say that they'll be giving games like Apex a go. Most people are bored of Fortnite too, I'm sure. So nothing new to see Fortnite being dethroned.